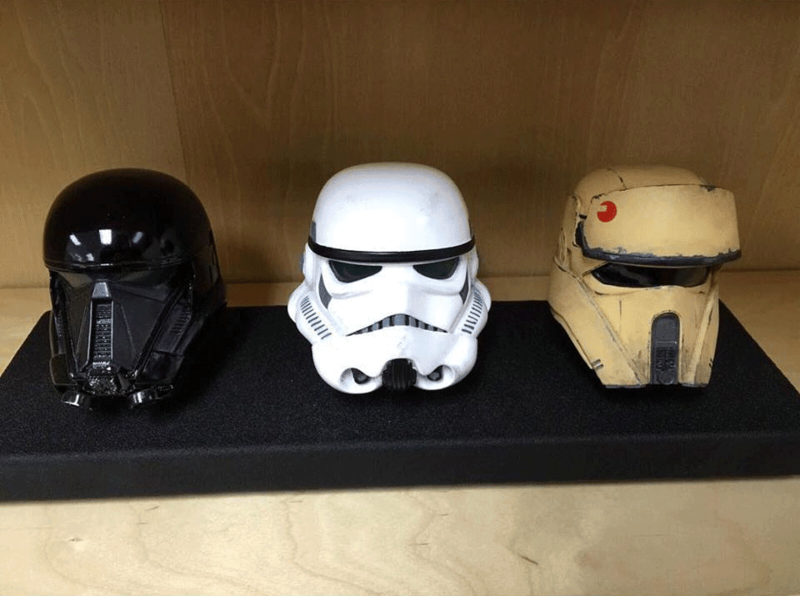 New Helmets From 'Rogue One' Revealed? The question is, what are the two helmets on either side of the stormtrooper bucket. It's probably safe to assume that they are from Rogue One, but are they imperial helmets or perhaps helmets worn by rebels in harsh climates. Then there's the possibility that a rogue element could be thrown in there and these helmets could be worn by someone other than the rebellion or the empire. Regardless, the designs on the helmets look great and we can't wait to see them in action on December 16, 2016!